Sure, we put a lot of demand on our knees, but knee pain is not an inevitable part of aging. Yes, over time, wear and tear can lead to arthritis or cartilage problems and, as it progresses, pain, but you can prevent a lot of damage to your knees by avoiding these common lifestyle mistakes, explained Nicholas Sgaglione, MD, director of the Northwell Health Orthopaedic Institute, who has spent 30 years caring for patients’ knees. Putting on pounds. With every step, skip and jump you take, your knees absorb the force of your body’s weight. Each pound you gain adds exponentially to the amount of pressure exerted on your knees. In fact, each extra pound adds about four pounds of pressure. So if you’ve gained 20 pounds over the last few years, they feel more like 80 pounds to your knees. 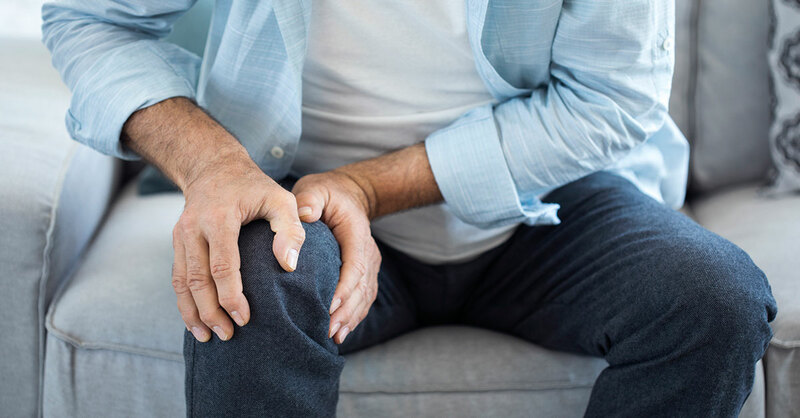 There are three causes of knee problems—injuries, breakdown (of cartilage and other tissues) and deconditioning, the loss of strength in the muscles surrounding the joint. Being overweight puts you at risk for all three. As the obesity epidemic has increased in the US, so has the rate of knee problems. It’s all about load on the knee. So the first mistake to avoid is putting on weight. And if you weigh more than you should, use diet and exercise to lose the extra pounds—it’s never too late as far as your knees are concerned. Getting weak in the knees. As important as your knee joints are, they depend on surrounding muscles for support. Deconditioning, which leaves knees weak and wobbly, is a setup for knee problems. Avoid this mistake by doing twice-weekly strengthening exercises that target the muscles in the fronts of your thighs (quadriceps), the backs of your thighs (hamstrings), your hips and your core. Options include weight machines and resistance exercises. The best choice for you depends on your current fitness level and the health status of your knees. A physical therapist or orthopedist can tailor a program for you and show you how to do the exercises correctly so that you won’t hurt yourself. Start slowly and progress slowly. Letting your knees get stiff. Stiffness, or the lack of flexibility, does tend to come with age if you don’t take steps to preserve it. Flexibility helps protect your knees from injury. Once you lose flexibility, it’s hard to get it back. The answer is to stretch the muscles that support your knees through their range of motion. Just as with strengthening exercises, an exercise specialist can design a flexibility program for you and teach you the right way to stretch if you’re unsure of where to start. Stretching incorrectly, such as not taking time to warm up (with light exercise) first, can cause damage. Also, avoid holding stretches for too long (no more than 30 to 40 seconds) and avoid bouncing. Make flexibility training a part of your daily workout. Doing too much too soon. It’s great to get started enthusiastically with exercise, but going from 0 to 60—trying to get into shape too fast or overtraining—is a recipe for an overload injury, particularly of the knees. This could happen if you’ve put on a few pounds and haven’t been active in a while, yet go on vacation and play three hours of tennis or 36 holes of golf right off the bat. Don’t exercise binge! Getting back into shape takes time. If you’ve planned an action vacation (or even one that involves a lot of walking), start scaling in right away. Don’t wait until you’re on vacation to start getting into shape. Being a slave to shoe fashion. One way to help your knees is to add shock-absorbing cushioning to your footwear. Instead of seeing your shoes as a fashion statement, think of them as extra treads for your tires. This is especially important if you already have knee issues. If you need to wear dress shoes to work, go with styles that have cushioned foot beds. For women who feel that they must wear heels, wear sneakers to and from the office and change once you get there. (And limit heel height to no more than one to two inches.) Avoid hard-soled slippers or sandals on weekends—wear supportive sneakers instead. Also consider off-the-shelf orthotics, shoe inserts that add cushioning. Smart tip: Replace running shoes about every 300 miles. That’s the average “life” of their shock-absorbing properties for a typical runner, depending on the type of shoe, the person’s weight and other variables. Replace sooner if you start noticing pain anywhere in your body after a workout that typically doesn’t cause a problem or if you notice pronounced wear on the heel. Being set in your exercise routine. Doing only high-impact exercise or long-distance running may take a toll on your knees over time. Cross training will help preserve joints. Alternate between low-impact exercises and high-impact activities, mixing biking or swimming into a running program, for instance. Relying on joint supplements to make up for bad habits. Glucosamine and chondroitin are among the most popular supplements taken by Americans, but it’s important not to think of them as a shortcut to knee health or a substitute for the other recommendations here. There is very little evidence that these supplements will prevent knee damage or help relieve knee pain if you have knee damage. Even if you think they’re helping, they can’t compensate for a lack of exercise or the burden of carrying extra weight. Need motivation to put a positive plan into action? Over time, overweight and inactive people with knee pain tend to need knee-replacement surgery while slim and active people tend to avoid it.